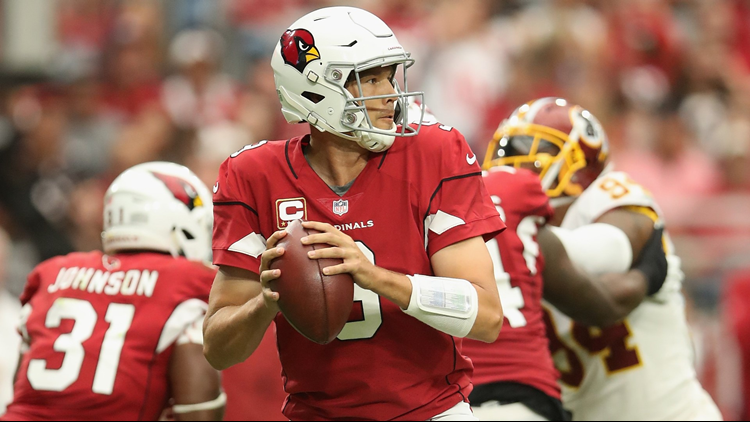 Quarterback Sam Bradford #9 of the Arizona Cardinals drops back to pass during the NFL game against the Washington Redskins at State Farm Stadium on Sept. 9, 2018 in Glendale, Arizona. The Redskins defeated the Cardinals 24-6. Since he was traded to the Philadelphia Eagles in 2015, he has not faced his former team. The Los Angeles Rams were the first NFL team for Arizona Cardinals starting quarterback Sam Bradford. Then, the team was in St. Louis, and they selected him first overall in the 2010 draft. That all changes this Sunday when Arizona takes on the Rams on the road. He will make his first start against the team for whom he played five seasons. Considering the coaching staff is different, the players are different and they don’t even play in the same state as they did when he was there last, it is understandable. It has been four years since he appeared in a game for the Rams.